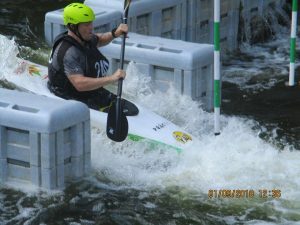 If you want to keep your racing skills sharp over the winter or just fancy a change of scenery to break winter glum, why not try out Thames 10@10 Winter K2 Series. The Club’s newsletter, with a round up of the Club’s racing and social events and other news items is now available to download here. It’s been a busy and very successful year. 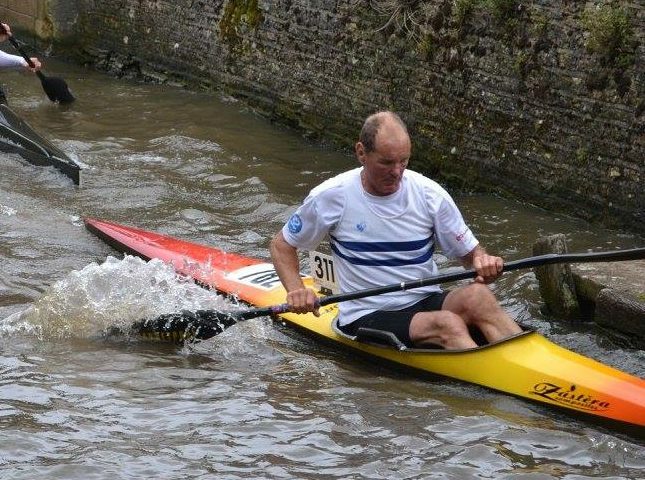 Our brilliant coach, ‘Brian the Legend’, competed at the World Masters Championships this August. He entered the Masters 65-69 years and, with a start line of 23 competitors from 16 countries, won it. That adds yet another title to his huge haul. Many congratulations, Brian, you truly are a legend. 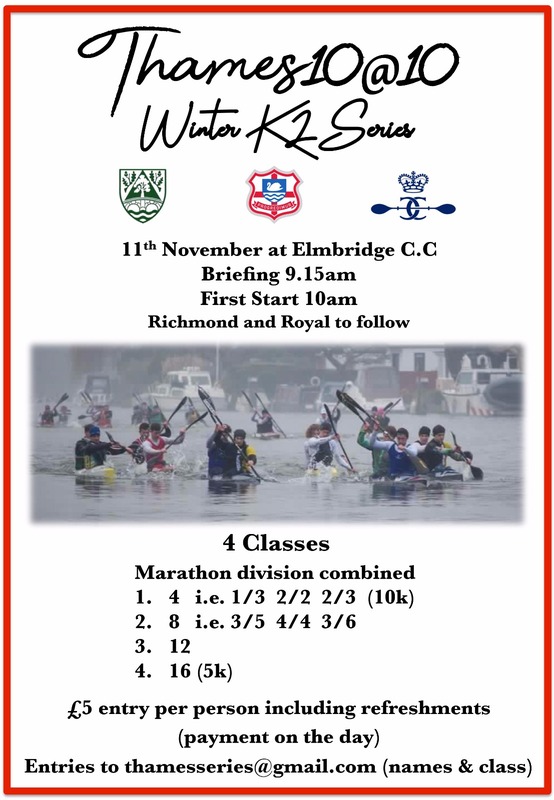 Start times for the Reading K4 race on Sunday 23rd are as follows. C race has been split into 2 as we have 16 K4 entries for C race at present. 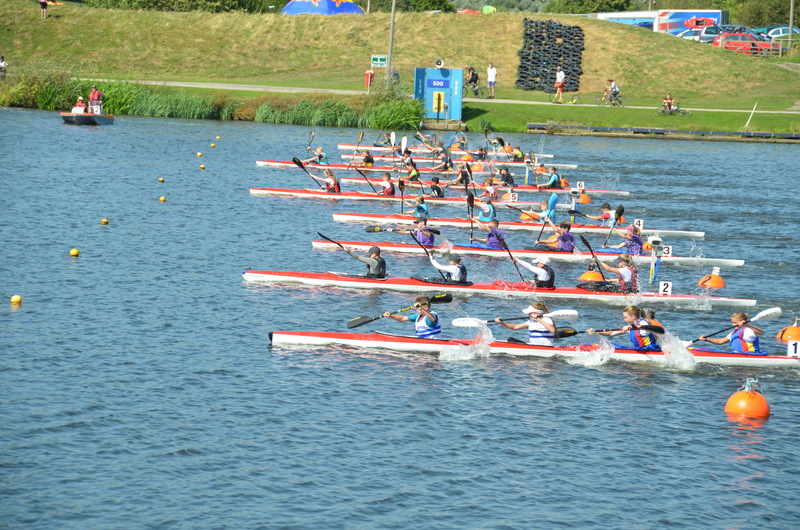 Note B race crews will have to make a draw for a K4. Please not that there is no entry on the day. 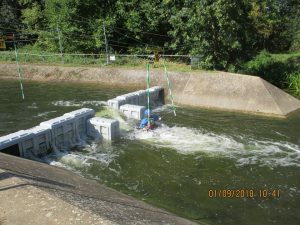 During sunny September 1st and 2nd, Cardington saw Team Reading venture down its tight course, squeezing past each gate and down its drops. The first to set off was Andy Neville, who showed impeccable skill as he scooted down the course and was able to improve his score each time. The next to go was Zoe Neville. 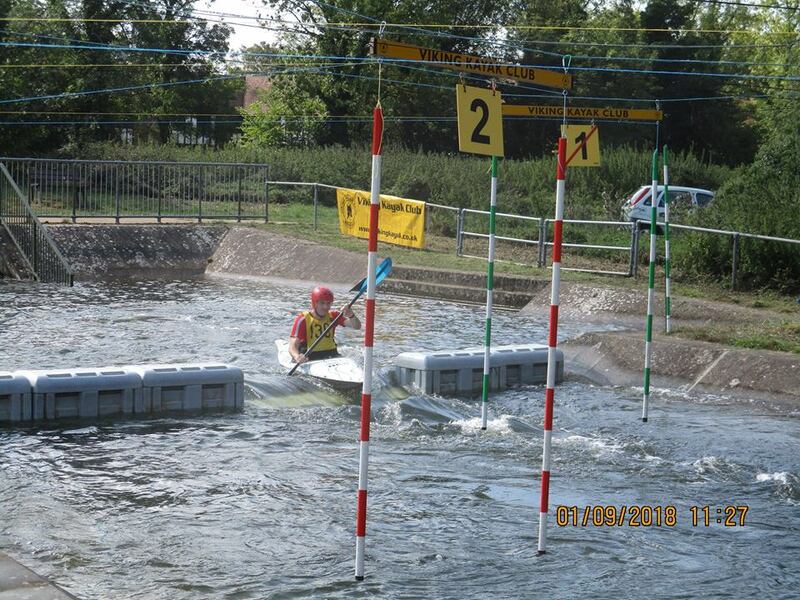 Although Zoe hasn’t been on as many races as others, she fearlessly approached each drop with confidence and even met with the dreaded gate 7! Noticeably, there were two men that showed their competitive side – each time they ran the course they couldn’t resist comparing scores and trying to get better times. This was none other than Marc Gutteridge and George Murphy. 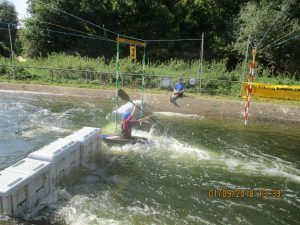 George showed amazing agility and skill as he came down the course, unfortunately having to move aside to avoid another paddler. This didn’t prevent George from giving it all he had! Marc had two very unlucky swims during his practice and his first run. He didn’t let that stop him though! 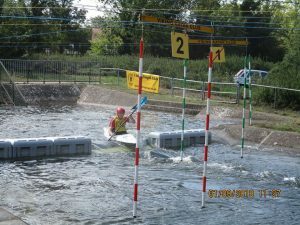 He shrugged it off and gave it all he had on the second run, without any swims! Next was Natalie, as she sped off and grabbed a trophy for each day: Under 16. Well done Natalie! (That is a total of 2 trophies). Emily laughed at the course. She sped down showing a great level of determination and grabbed the Under 14 trophy on the first day, as well as fourth place. To top it all off, on the second day, she also won a third place! You have all done SO WELL! September 2018 Regatta – the detail! A team of 19 RCC paddlers, plus dedicated support crews, made their way up to Nottingham for the last regatta of the year – the National Championships for Juniors and U23s. We were blessed with almost perfect weather and some great results. Unsurprisingly Juniors by far outnumbered Masters, but it was great to have Nik, Lee, a fit Nigel and Jan, who hadn’t raced at a sprint regatta for 15 years! Nik excelled in K1 winning a 1st and 2nd, plus a 2nd in K2 with Lee. Nigel and Jan were 1st in their 1000m K2 and the four of them together did an amazing K4 200m, taking 3rd, losing 2nd place by a hundredth of a second. Exciting stuff. 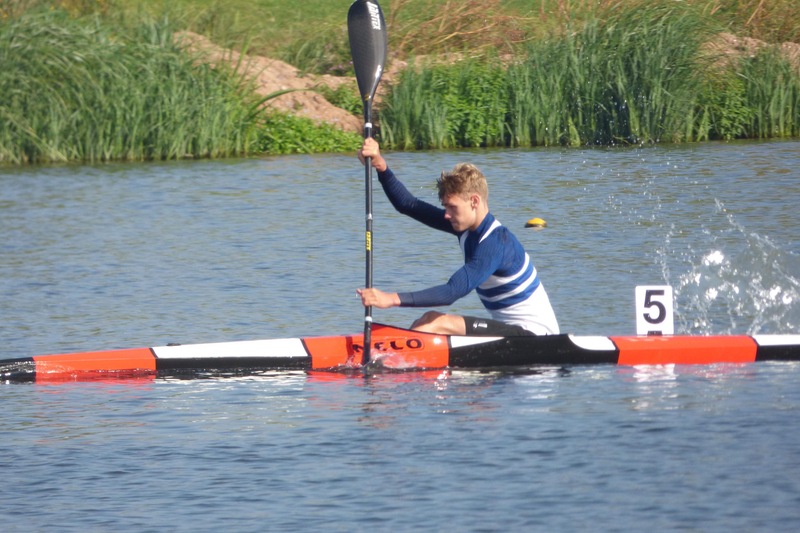 Matt Clarke chose the toughest regatta to launch his U23 sprint career but seemed right at home on the course, particularly with the K1 200m. 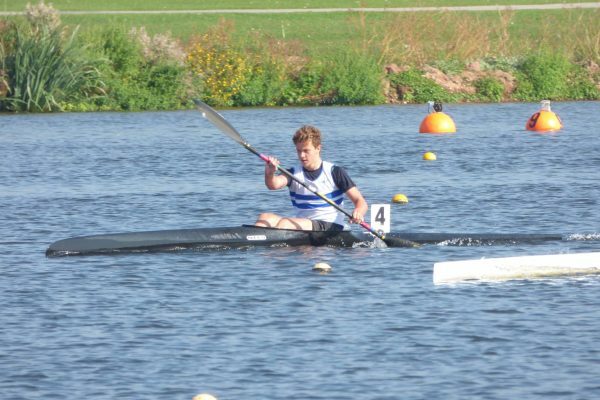 Sam Glover, with a few more regattas under his belt, was our other U23 competitor and took two Golds (and National Champion) and a Silver in crew boats. 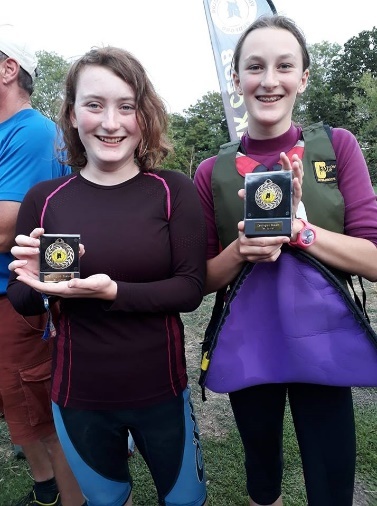 Our lightning/U12 paddlers, Annabel and Toby, did us proud, gaining a 2nd in K2 and 3rd in K4 and good placings in K1 to boot. It was great to see our U14s, Georgia and Finlay, in A finals and frustratingly close to medals with 4th places. 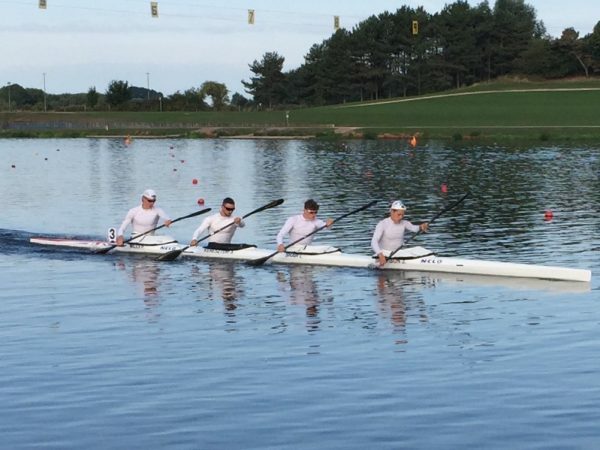 Last race of the day, Georgia, as stroke, took bronze with her scratch K4 crew. Well done. 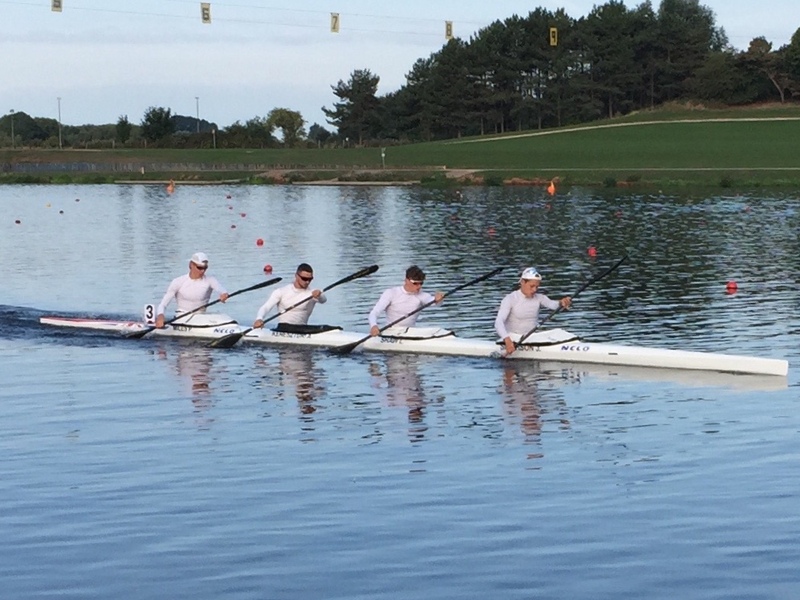 There was tough competition among the U16 paddlers too, but our quartet of Rory, Sam B, Joseph and Alex put in some terrific racing, their K4 taking 4th, so close to a medal. Other highlights were Sam’s 1000m K1, winning 1st in Final 2 and Rory’s 2nd place in Final 2 of the K1 500m. Well done to all four of you. Our solo U18 girl, Fran, found a new K2 partnership and first time in a boat together, they won Silver in K2 200m. Super impressive. It was great to have Jarvis, Thomas, Dan and Freddie battling it out in the U18s. This was an enormously competitive field, as you’d expect. Thomas was a delight, always with a big smile after every race – and it was tough out there. Good to see you in a final. Jarvis seemed to favour the long distances, winning 5th in Final 2 of K1 1000m and good placings in his K2 finals. 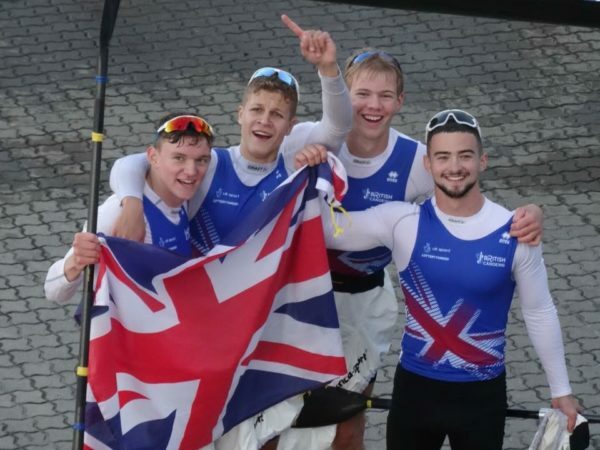 Dan and Freddie were awesome in their K2 200m, winning Gold with more than a boat’s length and a very convincing Gold in their K4. In addition, Dan took Silver for his K1 200m and Bronze K1 500m, while Freddie took Bronze for 200m K1. Congratulations National Champions. 2018 has been an awesome season of racing. Thanks to all those who took part and those who have supported. 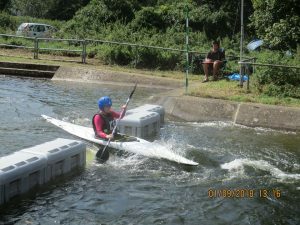 We look forward to more great racing from Reading paddlers in 2019.